Spitzer Chrysler Dodge Jeep Ram Cleveland is also by your side whenever you need any auto service and repair work done in Cleveland. Even if you haven’t seen us before, we’re proudly serving Chrysler, Dodge, Jeep, and RAM drivers in the Parma and Strongsville areas. What’s more, our auto parts team would be happy to get you whatever you need to keep your Chrysler, Dodge, RAM or Jeep vehicle on the road for many miles to come. Check out our current service specials today. Thank you for visiting Spitzer Chrysler Dodge Jeep Ram! 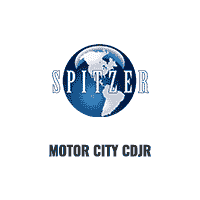 When you come to Spitzer Chrysler Dodge Jeep Ram Cleveland, you’ll find a huge selection of new and used cars, trucks, and SUVs. Browse our inventory online, or visit our Cleveland, Ohio car dealership to check out fantastic vehicles like the Chrysler Pacifica van, Dodge Challenger, or Jeep Compass. Drivers in Cleveland, Parma, and Strongsville know they can count on the Spitzer name for all of their car-buying needs. From new and used car sales to oil changes and repairs in our auto repair center, we can handle it all. Make an appointment to talk with our finance team about competitive automobile financing, too. We’re proud to be Cleveland, Ohio’s favorite place to find a new or used car, and we’re ready to show you why people throughout the city know us for being straightforward and easy to work with. We proudly post the estimated monthly price on the windshield of our cars, trucks and SUVs, so you don’t have to waste any time looking at a car that’s not in your price range. In all of our services, honesty and simplicity take the front seat! That’s just one of many reasons Spitzer is your trusted Chrysler Dodge, Jeep and Ram dealer near Parma and Strongsville. Our website has been built to make your car buying experience as streamlined as possible, so it’s easier than ever to shop our current inventory, schedule service, browse current specials, and more.